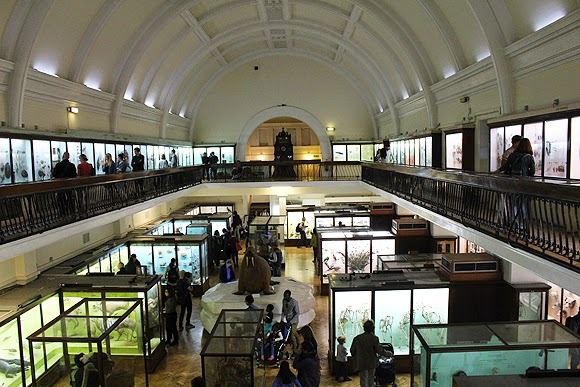 East London's Horniman Museum (Forest Hill) was founded in 1901 by Frederick John Horniman. Having inherited his family's incredibly successful tea business, Horniman used the resulting money to indulge in passion for collection, utilising the museum - designed by Charles Harrison Townsend - to display his treasures. Specialising in anthropology, natural history, cultural artifacts and musical instruments, today the museum makes for a wonderful (and - best of all - free!) day out. Make sure you don't miss the huge Horniman Walrus (as if you could! 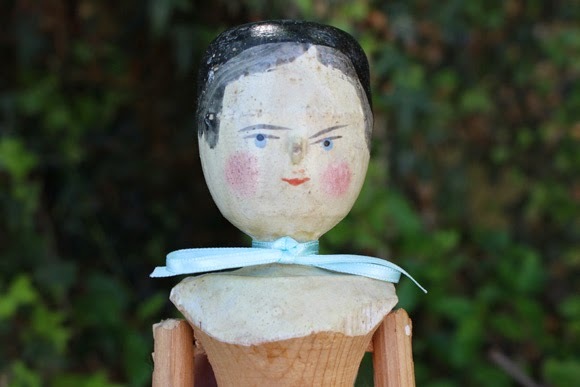 - as you can see above, he takes pride of place in the museum) who has been on display in the museum for over a century! 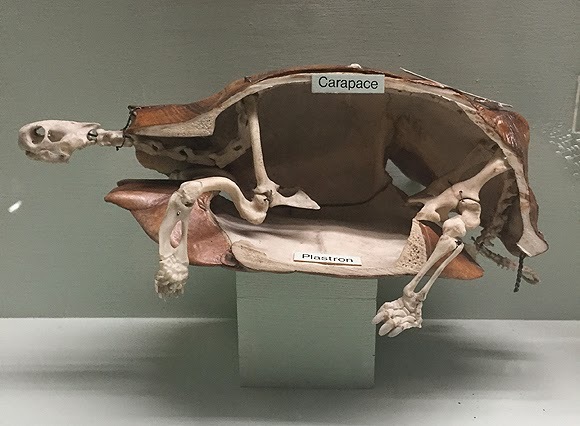 Exhibits include many natural history items, including this fascinating turtle skeleton showing how the carapace (shell) connects with the rest of the skeleton. 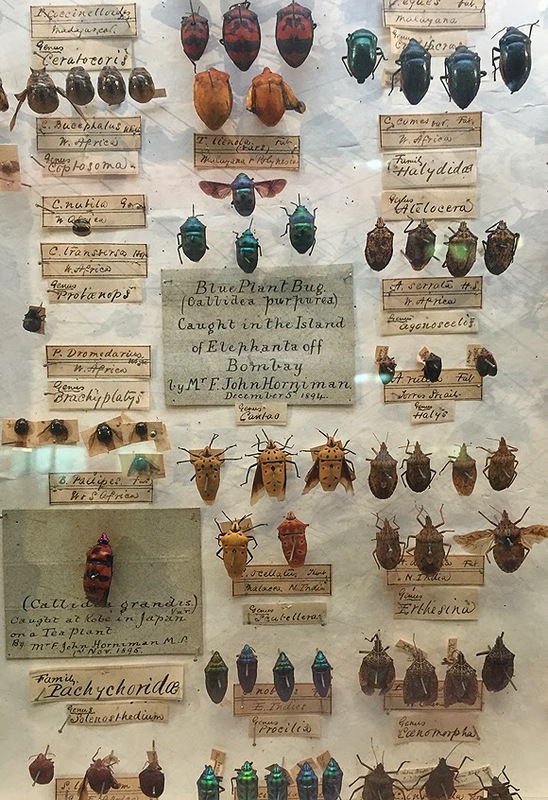 A favourite exhibit of mine was Frederick Horniman's display of beetles, complete with handwritten descriptions. There's just something magical about this to me - the handwritten notes in particular. Set in 16 acres of beautiful gardens, the museum also boasts an aquarium (entrance to this includes a small fee), tea room and gift shop as well as a sound garden, nature trail and animal enclosures featuring alpacas, goats, rabbits and sheep. 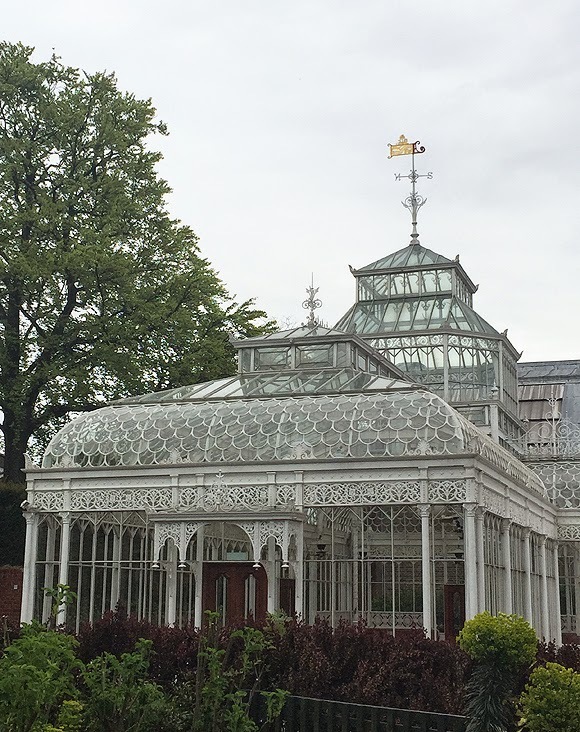 Not to be missed is the Grade II listed conservatory which was relocated to the site in 1980 from Horniman's family home in Croydon. 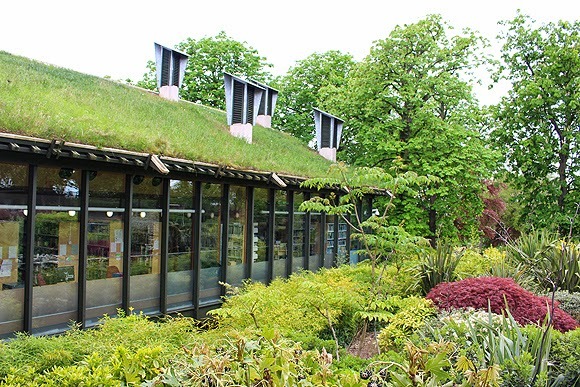 The environmentally conscious CUE building was opened in 1996 and sits alongside the outdoor seating for the tearoom. 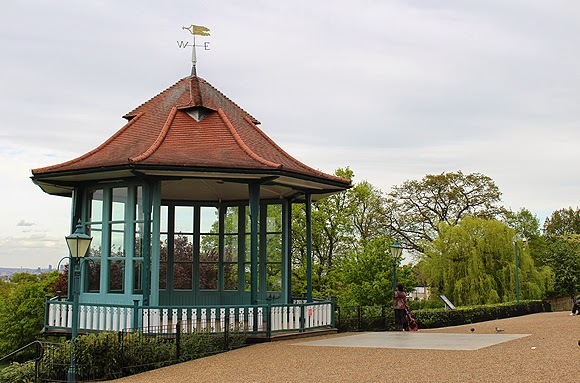 The grounds also feature a bandstand from 1912 which offers wonderful views across the estate and beyond. The Horniman Museum made for a lovely afternoon out and I would recommend it for anyone interested in Natural History. Also on display is a vast collection of musical instruments and fascinating cultural artifacts - this gallery is a little creepy with hollow-eyed masks and carnival puppets and Haitian voodoo altars on display - but that was right up my street!